Embroidered hippie shoulder bag, hand made. 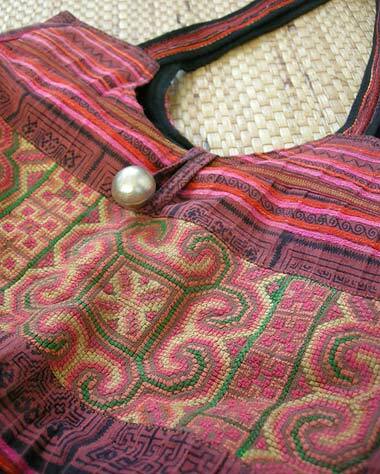 It is crafted by hilltribe people from northern Thailand. There is a metal button on top of the bag. It has a zip and a small pocket with zip inside. 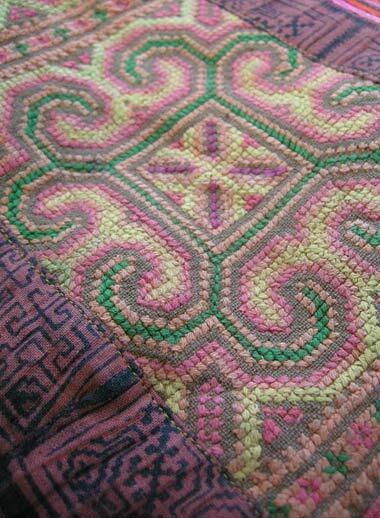 Decorated with ethnic embroideries. Body of the bag: 12.5 * 16.0 in (31.75 * 40.64 cm). 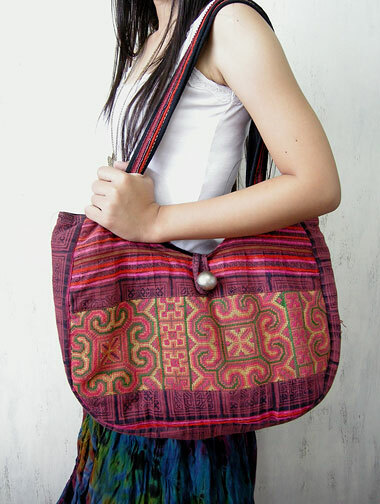 Length of the sling: 12 in (30.48 cm) (measured from the top of the sling down to the top of the bag). Color: red tone.